We’re just overflowing with reviews, both anime and other. I began the week looking at Initial D Legend 3: Dream, the final movie in the rebooted opening arc. Initial D was the street-racing anime and manga that became a fan favourite back in the day, but back in the 1990s it was limited in what it could do in terms of animation. Remaking the start of the story in movie form allows for it to get the animation it deserves, but the first two films had to sacrifice character and narrative in the process. See if the third film is just as diminished by clicking on the review. Next up was a little something from my own collection, Shirobako Collection 2, which is only logical given that I reviewed Collection 1 last month. You might have thought that Collection 1 had delivered its story of the anime industry in its entirety, as it followed the production of an anime series to completion over its runtime. But there’s a lot more to tell in Collection 2, including how anime are begun in the first place, as well as taking us through the minefield of adaptation as opposed to the comparative simplicity of original stories. And once more, Shirobako handles it with a great sense of fun and character. I know what you’re thinking. You’re thinking that there just aren’t enough harem comedies in your life. Well thankfully we have one more now, as Heaven’s Lost Property Season 1 comes to UK shores. A perfectly normal perverted teenage boy encounters an angel who’ll grant his every perverted wish, as long as he remains her master. Nothing could possibly go wrong given that premise. You know exactly what you’re getting with Heaven’s Lost Property, but thankfully it has a whole lot of fun delivering it to you. It’s not an anime, but Tokyo Ghoul - Live Action will slot right into your anime collection, as it’s another adaptation of the popular manga. A timid boy finally gets a date with the girl of his dreams, but in a city where flesh-eating ghouls live alongside humans, his dream turns into a nightmare. He wakes up in hospital, turned into a half ghoul, and he has to now walk the tightrope between both worlds. That isn’t easy when the authorities hunt and kill all ghouls on sight. Tokyo Ghoul is a fantastic anime, but you’ll have to click on the review to see if the film lives up to that. 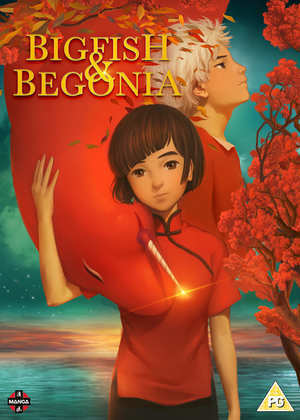 It’s not an anime, but Big Fish and Begonia is an epic, theatrical animation, made in China. A girl from a mystical world travels to the human world as part of her coming of age, but when a human boy sacrifices his life to save her, her decision to bring him back to life has drastic consequences, both for her and her world. If you’ve never seen a Chinese animation before (I certainly hadn’t), then you really should watch Big Fish and Begonia, a feature film that proves that China’s animation industry is of world-standard. Eureka Seven AO. The first time I watched Eureka Seven AO, I found it to be an entertaining ride, albeit a little cramped when it came to its story and getting its ideas across in just 24 episodes, with the ending feeling rushed. The thing is that Eureka Seven AO is a sequel to the original Eureka Seven, and I hadn’t seen that series at the time. This time I watched it with the 50 episode original under my belt, to see if knowledge of Eureka and Renton’s adventures would make a difference. And I have to say it really does, giving more weight to Ao’s feelings of abandonment at the start of the story, and his longing for his ‘Anma’. It also makes the ending a little more poignant. Still, the tale of a boy and his giant robot, having to deal with Scub Corals and the Secrets that attack them is just as cramped and as confused of ideas as it was the first time around. But Studio Bones did give Eureka Seven AO some serious production value, and it is fun to watch. 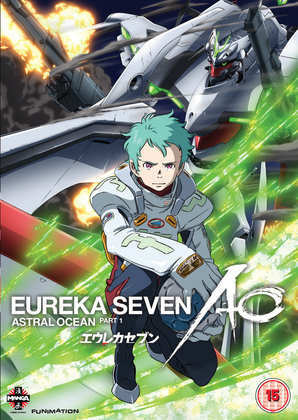 Manga Entertainment released Eureka Seven AO on DVD in two parts back in 2014, and you can still get it today. Here’s my more positive review of Part 1. If you want the show on Blu-ray to match the Ultimate Edition of the original series, the Funimation Blu-ray release (now on the S.A.V.E. budget label) is Region B compatible. 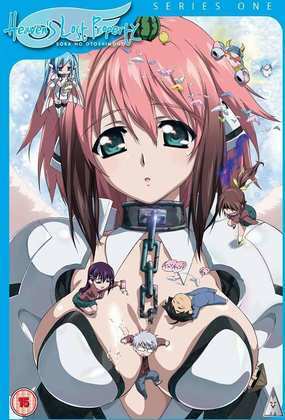 MVM released Heaven’s Lost Property: Season 1 on Blu-ray and on DVD on the 25th of June. 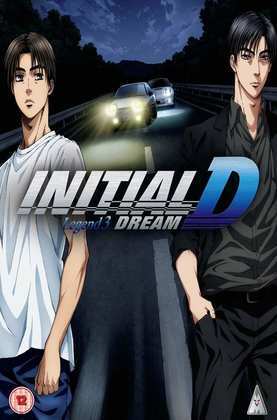 Initial D Legend 3: Dream came out from MVM on Blu-ray and DVD on the 2nd of July. 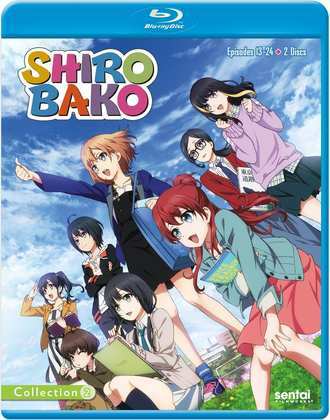 Sentai Filmworks released Shirobako Collection 2 on Blu-ray and DVD in 2016. All the Anime release Tokyo Ghoul – Live Action on Blu-ray and on DVD today, while Manga Entertainment also release Big Fish and Begonia on Blu-ray and DVD today.